Bring military-grade quality along on your next picnic or outdoor adventure. 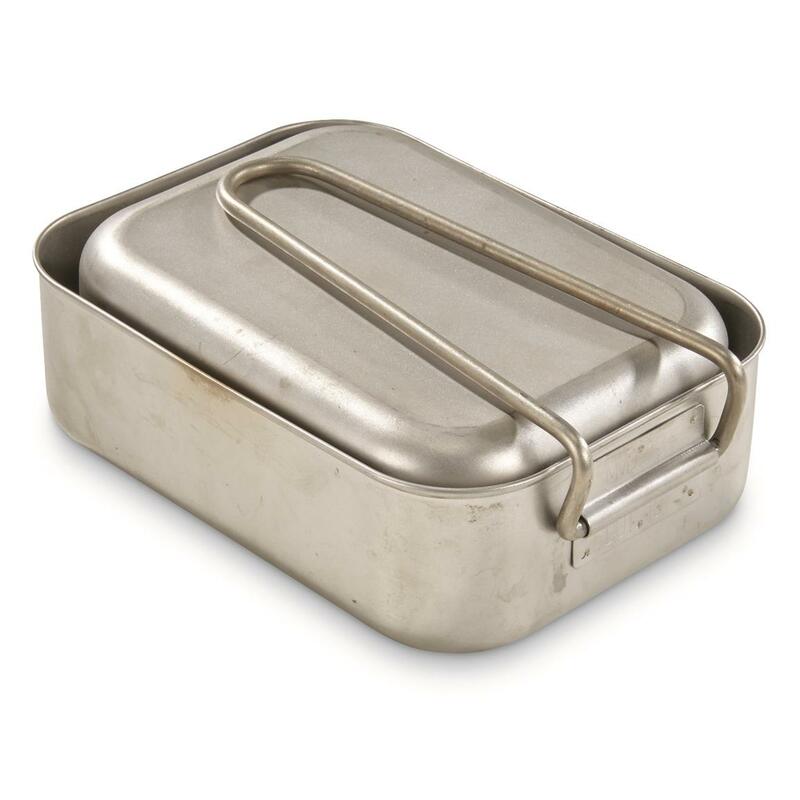 Made from lightweight aluminum, this Danish Military Surplus Mess Kit is great for camping, emergency preparedness, and more. Plus the small pan nests into the large pan, making them easy to carry for on-the-go cooking. 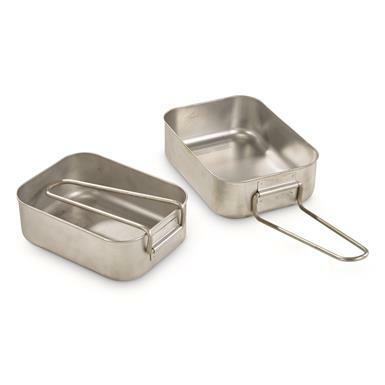 Large pan measures 7" x 5"
Small pan measures 6.375" x 4.75"